This week marks the 20th anniversary of the Western Pond Turtle Recovery Project, which is working to bring native turtles back from the brink of extinction in Washington state. Woodland Park Zoo plays a major role in the recovery effort, a collaborative project that also includes partners at Oregon Zoo, U.S. 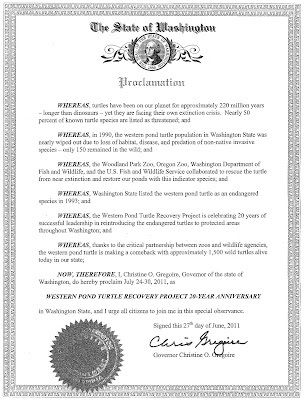 Fish and Wildlife Service, and Washington Department of Fish and Wildlife. 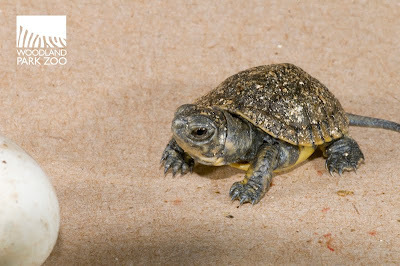 At WPZ, we headstart endangered western pond turtle hatchlings at the zoo, giving them a chance to grow in safety until they are large enough to avoid being eaten by predators. 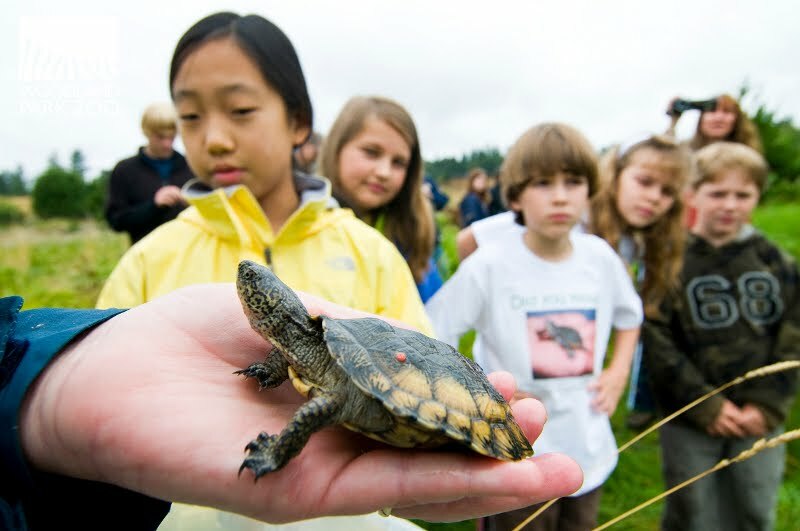 Then each year we release these headstarted turtles back into protected habitat in Washington state to help re-establish a self-sustaining wild population. 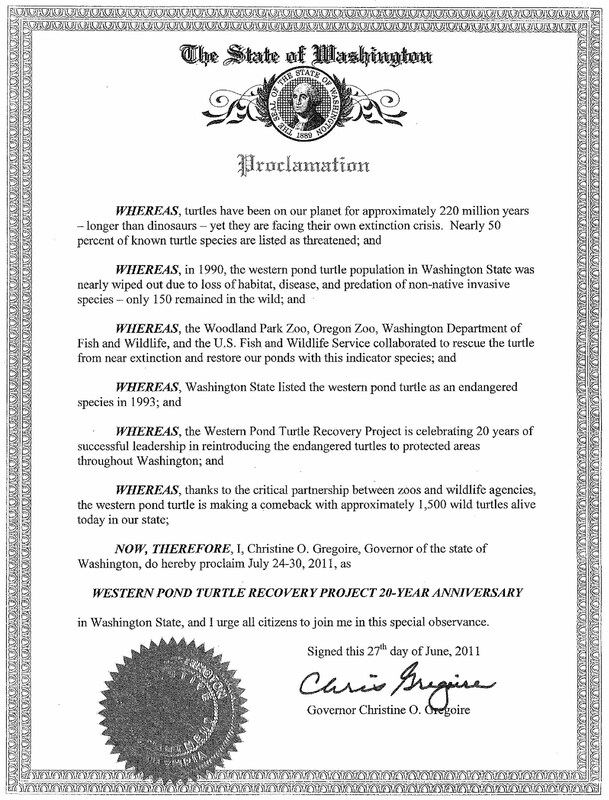 When this program started 20 years ago, there were only 150 wild western pond turtles left in Washington state. Now, thanks to these conservation efforts, those numbers are up to 1,500. 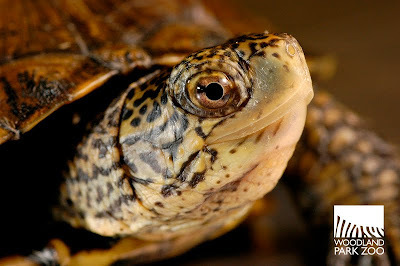 We’re honored to play this unique role in a local conservation effort, but we also want our zoo fans out there to realize that you don’t have to be a zookeeper or wildlife biologist to help native turtles. There are steps we can all take at home and information we can share with friends that make a difference when it comes to saving turtles and protecting their habitats right in our own backyards. 5. Support Woodland Park Zoo and other organizations working to conserve endangered turtles. 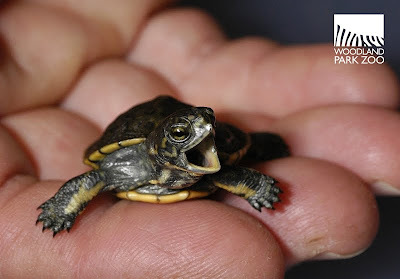 Tell your friends about turtle conservation and ways they can help, share this story on Facebook or your favorite social network, take a trip to the zoo with friends and family to learn more, make a donation to the zoo’s conservation program…there are many ways to show your support and help us make a difference for turtles! To celebrate the 20th anniversary of this conservation effort, we’re extending $5 off zoo admission to all visitors through July 29. And as we celebrate 20 years this week, we’re also getting set to release this year’s batch of headstarted turtles on Friday. We hope to post updates from the field at the end of the week.